Lets celebrate the Chinese New Year! You must be a member of the Boston Brunch Abunch Group to attend this activity. Would you like to join this group? 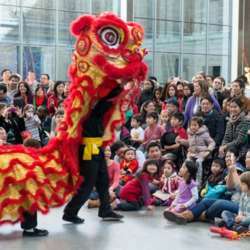 Join me at the MFA 's Lunar New Year celebration, will meet at Taste cafe, get a bite to eat and explore the museum and the various special performances. Admission is free!